I am excited to be sharing with you all the latest MAC lipstick within my collection, Flat out Fabulous!!! MAC – Flat out Fabulous is a Retro Matte lipstick, like its popular friend Ruby Woo! I thought being in good company within the Retro Matte selection, that I’ll get a lipstick with extreme long lasting power & that it did! I love the way Retro matte lipsticks translate onto the lips. I love the fact that the colour pay off is still Bold & intense. You’ll have to work a little bit when putting on the lipstick as its matte nature kind of makes the process of applying longer (it feels drying on the lips)…. but when it’s on the drying effect actually disappears, and there are no lip crease lines in sight!!! From first glance you actually think the colour pay off will be a purple lip colour, but it actually surprised me a lot by turning out to be more of a raspberry dark fuchsia lip colour! 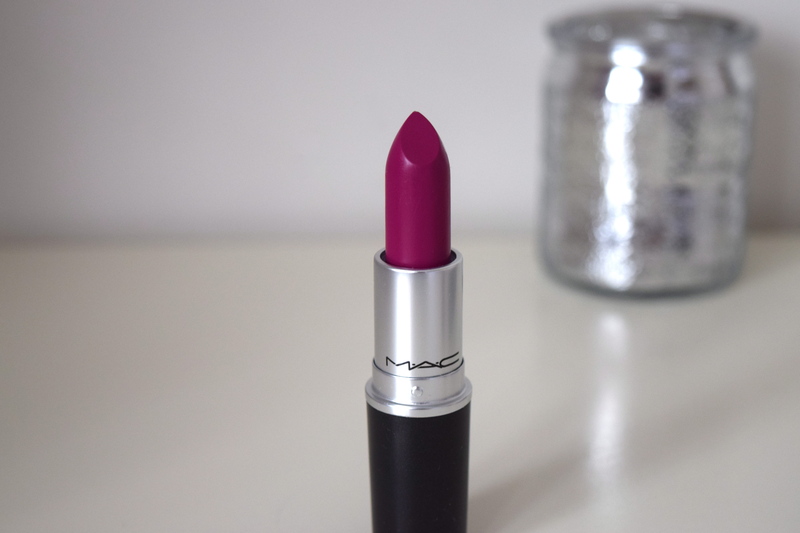 I love the colour pay off for this lipstick & think its perfect for the party season coming up! …. It can definitely add drama to your Little black dress or even glam up a casual look for night time!!! 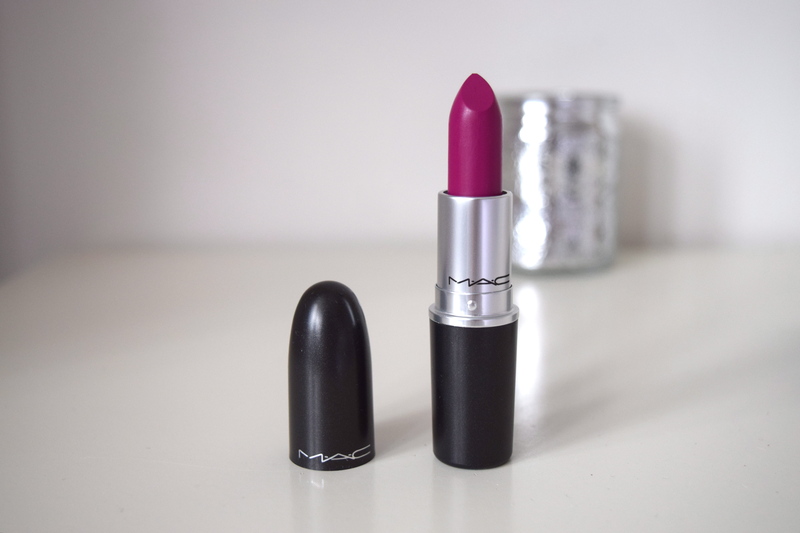 I hope you’ve enjoyed my | MAC | Flat out Fabulous blogpost!!! Next:Where your Nikes at ??? I love the colour. Looks amazing. I have Flat Out Fabulous, and love it especially for the transition times between summer and fall! 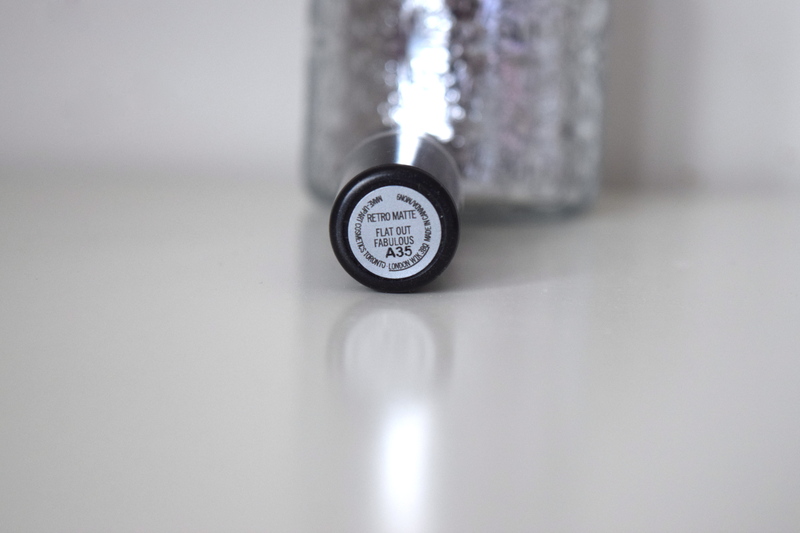 This lipstick is fabulous and it looks great on your lips. I was so close to getting then when I was in the mac shop in Paris! But then I change my mind for favour of something less bold. Sad. Very pretty color. I’ve seen this one making the rounds as of late. One that is sort of similar (but more purple, I think) that’s on my wish list right now is Men Love Danger. That shade looks really beautiful, deffinately giving it a swatch when I go to a MAC store next time. Yesterday I bought Captive and I’m freaking in love with it, it’s also a bold fall colour with brown and purple tones, you should try it out! Such perfect photos as always! I’m surprised by how different this looks on lips, it’s a nice colour but I’d be a bit miffed if I bought it for the actual colour of the bullet! Serene, this lip colour looks gorgeous on you 🙂 It totally does look like it would be more purpley when you look at the lipstick, but I really like this bright fuchsia shade! Perfect lip colour! It looks so gorgeous on you! 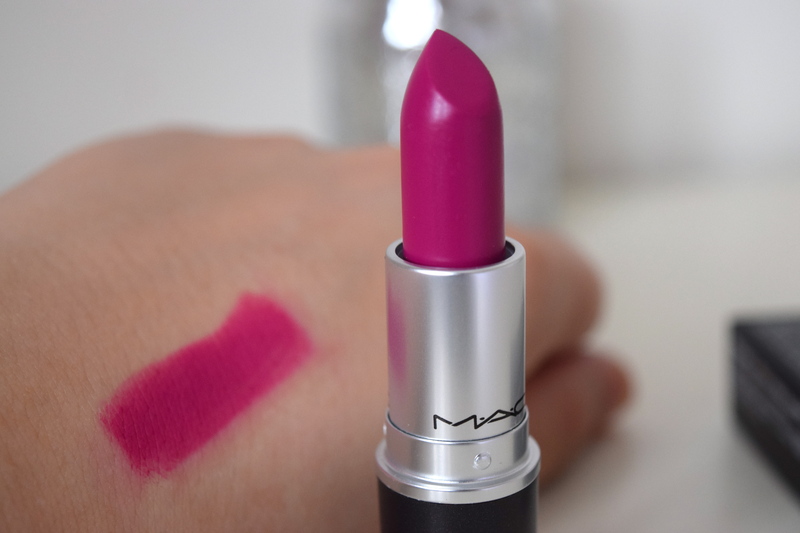 Oooo, I’ll need to swatch this when I’m at the Mac counter, what a gorgeous shade! Gorgeous shade! I really want to try it! but it’s turning out raspberry pink on your lips, it’s really pretty and bright color. So beautiful! That is a really lovely colour. This is absolute perfection and the kind of shade that I gravitate to!!!! Great addition to your collection, Serene!!! You can’t go wrong with MAC lipcticks! This one looks so good on you, Serene! The shade is super pretty. I like it a lot!